TEXAS HILL COUNTRY, November 5, 2015 – With the holidays around the corner, now is the perfect time to select some Texas wines to pair with popular holiday dishes as well as to wrap up as gifts for friends and family.Texas Fine Wine, a group of four distinctive wineries dedicated to making quality wines from Texas appellation vineyards, recommends some great wine pairings and gifts to bring Texas terroir to the table. • Bending Branch Winery 2014 Viognier, Riven Rock Vineyard ($34, winery and website only) – minerality and bright fruit notes allow this wine to pair with white cheeses, dressings and creamy side dishes traditionally served during the holidays. • Bending Branch Winery 2012 Cabernet Sauvignon, Newsom Vineyards ($32, winery and website only) – ripe red berry flavors and a beautifully balanced body complement braised premium beef cuts, prime rib, and also rustic stews. • Brennan Vineyards 2014 Reserve Lily (Chardonnay and Muscat of Alexandria blend, $22, winery only) – aromas of honeydew melon, Meyer lemon, and white floral aromas, this wine will pair perfectly with holiday fare from smoked turkey and stuffing to green bean casserole. • 4.0 Cellars by Brennan Vineyards Mourvèdre 2013 ($26, winery and 4.0 Cellars only) – this light-bodied red wine is rich in aged aromas of dark cherries, pipe tobacco, and coffee with the appropriate amount of structure to complement beef tenderloin and meaty fall stews. • Duchman Family Winery 2014 Trebbiano ($16, fine wine retailers and restaurants) – a crisp white wine that pairs well with light cheeses, citrus-accented appetizers, and Gulf seafood, especially oysters. • Duchman Family Winery 2011 Aglianico ($30, fine wine retailers and restaurants) – this popular red wine pairs exceptionally well with braised meat, mushroom-based dishes, and hearty beef entrees. • Pedernales Cellars 2014 Texas Viognier Reserve ($39.99, winery only) – a rich blend of honey, peach and with hints of vanilla that complements roast poultry and twice-baked sweet potatoes. • Pedernales Cellars 2012 Texas Valhalla (Tempranillo, Montepulciano and Aglianico blend, $39.99, winery only) – with aromas of plum and strawberry and subtle spicy pepper notes, this medium-bodied red pairs well with seared King salmon, roast pork and seasonal vegetables. • Bending Branch Winery 2012 Estate Cuvée (Aglianico, Cabernet Sauvignon, Malbec, Mourvedre, Petite Sirah, and Tempranillo, $50, winery and website only) – hand harvested from the organic Estate Hill Top Block, with half regular fermentation and cryomaceration fruit, this is a great wine for friends who love full-bodied reds. • Bending Branch Winery 2012 Texas Tannat® ($30 retail and winery) — an award-winning red wine for which the winery is known. It’s bold and spicy and complements wild game meats. • Brennan Vineyards Reserve Viognier 2014 ($25, winery and online only)– This small production Viognier survived the late frost of the 2014 growing season and offers ripe peach and honeysuckle notes. Slightly oaked, this wine has a structural complexity that will pair perfectly with holiday cheese boards and party treats. • Brennan Vineyards Super Nero 2012 ($30, winery and online only) – a smoky and sultry wine that is perfect for fall evenings by a fire. • Duchman Family Winery 2014 Vermentino ($20, retail and winery) – a perennial award winner and immediate crowd favorite, Vermentino is the star of the white wine lineup at Duchman. Citrus and light floral notes round out a palate that is incredibly food friendly and equally delicious all on its own. • Duchman Family Winery Progression ($46, winery only) – Progression 1 is a blend of hand- selected Aglianico and Montepulciano lots from Oswald Vineyard in the High Plains. Created to showcase exceptional Texas fruit, this wine is also a perfect example of the winemaking style that has become the signature of Duchman – reserved, focused, and perfectly balanced. • Pedernales Cellars 2012 Texas Family Reserve (Tempranillo blend with Syrah, Cabernet Sauvignon and Touriga Nacional, $59.99, winery only) – a rich, complex blend with notes of dried cherries and black currant, perfect for that special holiday occasion. • Pedernales Cellars 2014 Texas Viognier Reserve ($39.99, winery only) – a noteworthy wine given the 2012 vintage won Grand Gold in the Lyon International Wine Competition. 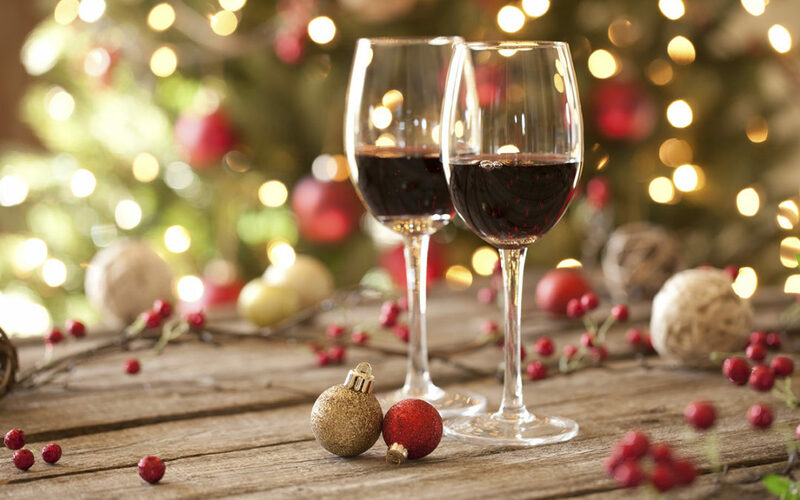 • Pedernales Cellars Glögg (traditional Swedish fortified, spiced wine, $19.99, winery only) – “Christmas in a bottle,” Glögg is the perfect accompaniment to holiday gatherings around the fireplace. Texas Fine Wine is a privately funded marketing initiative representing four of Texas’ most distinguished wineries dedicated to producing quality wines from Texas appellation vineyards. Follow Texas Fine Wine on Facebook and Twitter.